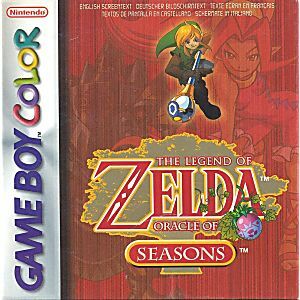 The Legend of Zelda Oracle of Seasons Game Boy Color Game Cartridge Cleaned, Tested, and Guaranteed to Work! Received it within 10 days (cheapest US to Canada shipping), the cartridge works perfectly and the battery is still in great condition. This in-conjunction with the ages game, is one of the all-time classics for the GB and an excellent edition to the Zelda franchise. Game runs smoothly, and is in fairly good shape despite being used. Took awhile to reach me, but that doesn't take away from gameplay. I'm happy with the result. I am a fan of the legend of zelda franchise as a whole and this was a great addition.It was fun and i liked the many different side missions that where available.Aside from a few animals you could ride it basically plays like any other zelda game. Really really good game with more stuff than in Link awakening. Long enough for a gameboy game. Really worth the price your gonna paid. 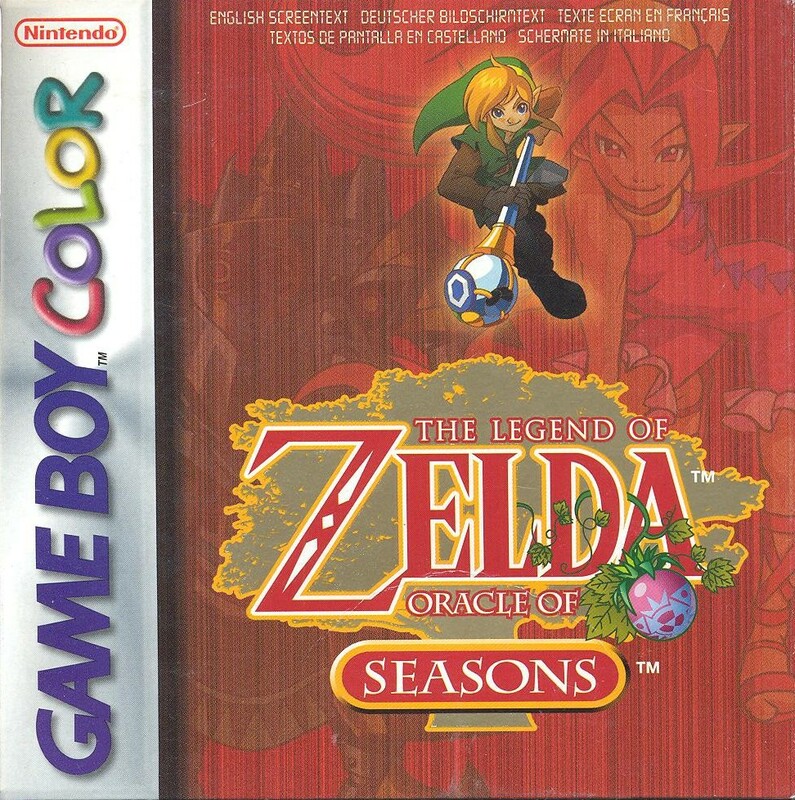 Oracle of Seasons was released simultaneously with another game, Oracle of Ages, back in 2001. Thhe reason they were released simultaneously is because together they tell a two-part story that you can only fully experience by "linking" the games together. The way Nintendo executed this linking is quite unique. The games are designed in such a way as to enable you to play the in whatever order you wish, whether that be Ages first and Seasons second or vice versa. When you complete the first game you'll receive a password called a Secret. to link the games together you select the Secrets option instead of New Game once you boot up the game you intend to play second. Then you enter the password you got when you completed the first game. This will in essence load the second part of the story. You also want to make sure you save your game after completing the first game, because at various points during the second game you'll have opportunities to receive passwords that you'll give to characters in the first game. These characters will give you special items and passwords you can use to take those items back into your second game. If you didn't save your first game's file, however, those passwords from the second game won't be recognized even if you use the main password to link the second game. Of course the incidental passwords are completely optional. Only the main password is really necessary for linking the two games and getting the complete story. The story of Seasons is that the Triforce has dispatched Link to the land of Holodrum to protect Din, the Oracle of Seasons. Shortly after his arrival, however, Din is kidnapped by Onox, the General of Darkness, who seeks to possess the Oracle's power for his own and throw the seasons into chaos. In order to stop this sinister plot, Link must collect the eight Essences of Nature. To do this, however, Link must acquire the powers of the seasons. Whereas Oracle of Ages was geared more towards puzzle solving, Seasons is a much more action and combat-oriented title that smacks greatly of the original Legend of Zelda. In terms of audio most of the sound effects heard here are also found in Ages. You'll also hear a few themes throughout both games, namel the house theme and a few character-specific themes. All in all this and its counterpart are titles that should keep you busy for a satisfyingly long time, especially in view of the fact that the items yo get and certain story elements will vary depending on which game you play first. This is my first Legend of Zelda game, I bought it when it came out. This is the easier of 2 Zelda games in the series for the Gameboy Colour. As Link, you must rescue the Oracle of Seasons from forces of darkness. An unforgettable experience. Good replay value as you can get codes from Ages to unlock items such as the Master Sword! I highly recommend this title to people who are new to Zelda games because this title gives a sweet taste of the experience. I guarantee you that after playing this title, you will love this series and move onto more Zelda games! Truly deserves 5 stars!